7 Quick Takes Friday – More Book News, Pre-Order Coupon etc. Please join me and other Catholic bloggers at Conversion Diary for 7 Quick Takes Friday. Special thanks to my husband for taking this wonderful photo of all five of my books after the proof for my fifth book arrived earlier this week. In Name Only (my second book) and A Subtle Grace (my fifth book) are part of the O’Donovan Family series. However, I wrote each book to be read as ‘stand alone’ books, so one need not read the first in the series to appreciate the second. It was cool to finally see both books side by side. Great article on common grammar errors. I bookmarked this one. Want to save $5 off the regular price of 18.99 of A Subtle Grace? Pre-order the book (without paying) before April 1st and I will send you a $5 off promo code to order directly from the printer when the paperback edition of the book is released on April 6th. If you would like to pre-order the book, email me at fullquiverpublishing(at)gmail.com or leave a comment below and I will email you the code. This is a wonderful reflection on grace by St. Therese and authored by Sr. Margaret Dorgan, DCM. I included the “Everything is grace” quote at the beginning of my fifth book, A Subtle Grace. I’m joining up with other bloggers at Catholic Mom for Small Success Thursday. Every year, including my kids’ forms, my mother-in-law’s return, as well as our business returns, I have about 14 (both Canadian and US) income tax returns to do. I’m very grateful for Turbo Tax! It’s like having your own accountant walk you through the process. I’ve completed three so far, four are close to completion, six to go! After working hard on my fifth book for two years, it’s rewarding to see the finished product. When I received the proof copy of my fifth book, and added it to my other books, it dawned on me that, with the publication of this book, it represents ten years of work (hundreds of hours) on five books: conceiving, writing the many drafts, editing, formatting and polishing. Total word count? 500,000 words. That’s a lot of words! If you would like to share some small (or large) successes, head over to Catholic Mom and link up! My latest post at Catholic Mom speaks of how we can practice the Spiritual Works of Mercy with a Theology of the Body focus. According to the Catholic encyclopedia, mercy is “a virtue influencing one’s will to have compassion for, and, if possible, to alleviate another’s misfortune.” The spiritual works of mercy are one way Catholics can show charity and compassion to others. Since my husband and I teach Natural Family Planning, we have always tried to practice the spiritual works of mercy through our NFP ministry. Many Catholics do not understand the Church’s teachings on sexuality. Mother Teresa once said, “If you judge someone, you have no time to love them,” Sharing the truth with charity and without judgment is extremely important. I often find myself in conversations about these intimate topics with acquaintances and relatives. For example, while I was attending a First Penance meeting with one of my sons, the instructor handed out a “Examination of Conscience” pamphlet. On page three, under “Thou Shall Not Kill,” sterilization was listed correctly as a mortal sin. The woman next to me gasped and whispered, “I thought the Church changed her teaching on this. I had my tubes tied and didn’t know it was wrong.” I then gently said, “The Church has never changed this teaching. Birth control and sterilization have always been considered mortal sins.” The woman glanced away, then turned back to me, tears in her eyes. I patted her shoulder, then said, “You know, if you didn’t realize it was wrong, then it’s not a mortal sin.” I pointed out the section in the “Examination of Conscience” pamphlet which stated that all three of these conditions need to be in place for mortal sin: it must be 1) serious matter, 2) the person must know it is serious and then 3) freely commit it. I strongly encouraged her to seek spiritual direction from a faithful priest. When she left the meeting, she thanked me. Bearing wrongs patiently has never been something I have done well. And the following example shows that not everyone I “admonish” or “instruct” has been open to the information. Ten years ago, a woman called for NFP counseling. She and her husband had taken an NFP class years earlier. Her husband, she said, had made an appointment for a vasectomy and he had indicated the decision was not up for debate. After using NFP for many years, he no longer had any patience for the abstinence it entailed. The wife sounded like she was crying. “What can I do to stop him?” I spoke with her, then sent her information on the moral, spiritual and physical implications of sterilization. I encouraged her to seek spiritual direction from a faithful priest I knew in the area. Four different times we spoke on the phone, her tone frantic and desperate. Finally, she stopped calling. I continued to pray for this couple. Some months later, she called to inform me that her husband had indeed gone through with the vasectomy and they were now ‘very happy.’ She wanted me to know that, although she knew I didn’t agree with ‘their’ decision, she had come to accept it and that it had been the ‘right’ thing for them. Admittedly, I have no idea what happened in between her frantic calls and the vasectomy. I suspect she never called the faithful priest I recommended. However, I calmly responded, “But sterilization is against the fifth commandment as well as the sixth, it separates a couple…it causes an increase in prostate cancer, it – ” She cut me off by angrily telling me that she only called to inform me, not to hear what the Church teaches, that she already knew that. Her husband then got on the phone and yelled at me, his tone sharp, accusing me of trying to “sabotage” his marriage. I listened, heart pounding, as he screamed at me over the phone. It took a lot of self-control not to hang up nor respond to his verbal abuse. I prayed and waited until he stopped yelling, although by that point, I was nearly in tears and my hands were trembling. Then I said, my voice breaking, “I will pray for you and I wish you both well…goodbye.” My hands shaking, I hung up the phone and cried. I forgave them long ago for their verbal abuse, and I have prayed for them from time to time, but I’ve always wondered how they are doing. Prayer is so powerful, more powerful than any of us can ever imagine. Even if you’re not comfortable speaking up, you can always pray for anyone at anytime. Praying for others is an important part of the spiritual works of mercy. I pray daily that more couples can discover the joy of following the Church’s teachings on sexuality by learning NFP: to be chaste before marriage, to be generous and open to life within marriage. I pray for all the student couples to whom we have taught NFP over the years. I pray for the engaged couples who have listened to our testimony and talks at marriage prep courses. I offer up many prayers for relatives and friends who have chosen to lead alternate lifestyles, and those deceased ancestors and relatives who were not faithful to the Catholic Church’s beautiful teachings of sexuality. Practicing the spiritual works of mercy through the Theology of the Body is an ideal way to show charity and compassion to others. It’s not always easy to do. However, I know that, for me, it is the right thing to do, even if the person or persons are not open to the message. The truth is, we never know when a seed of truth will be planted and someone will experience a change of heart. Please join me and other Catholic bloggers at RAnn’s Place for Sunday Snippets where we share posts from the previous week and answer a weekly question. Weekly question: What is your favorite Bible verse and why? My favorite verse is “I can do all things through Him who strengthens me.” (Phil. 4:13) I have this Scripture verse printed and attached to the base of my monitor. In difficult times, it helps me to remember that I’m not going through this life alone and that I can endure all things with God’s help. 7 Quick Takes Friday – New Book Updates Etc. The first proofs of my new book, A Subtle Grace, have arrived! I’ve already given them to the proofreaders so I missed a photo opportunity. But I’ve ordered more to arrive next week and will have photos then. Right now, my proofreaders are poring through the proofs looking for typos and format issues. I have a second medical person reading through for accuracy of medical situations. I hope to hear from the gun experts soon. I knew this book was as long as its prequel, so I had a short panic attack when I received it, feeling its heavy 420 pages in my hands. Holding the two books side by side, there’s no denying that they are very similar. Total pages, if one wants to read them one after the other, will be 840 pages. That’s as long as Gone With the Wind. The publishing world’s recommendation for book size has always been under 400 pages and, no matter what I did, I could not get this book down to only 400 pages. I recognize this could limit the number of readers and, frankly, I don’t care, especially since “series” books do tend to sell more because readers are invested in the characters. However, one need not read the first book (In Name Only) to be able to read this one. The books are stand alone books that can be read independent of the other. In my latest post at Catholic Mom, I talk about practicing the Spiritual Works of Mercy through the Theology of the Body. According to the Catholic encyclopedia, mercy is “a virtue influencing one’s will to have compassion for, and, if possible, to alleviate another’s misfortune.” The spiritual works of mercy are one way Catholics can show charity and compassion to others. Since my husband and I are trained in the Theology of the Body (TOB) and teach Natural Family Planning, we have always tried to practice the spiritual works of mercy through our NFP ministry. Many Catholics do not understand the Church’s teachings on sexuality. Mother Teresa once said, “If you judge someone, you have no time to love them.” Sharing the truth with charity and without judgment is extremely important. To read the rest, click here. My book, Come My Beloved: Inspiring Stories of Catholic Courtship is FREE today through Sunday on Kindle. Click on the book title or HERE to download your free Kindle book. To read more about Come My Beloved, click HERE. 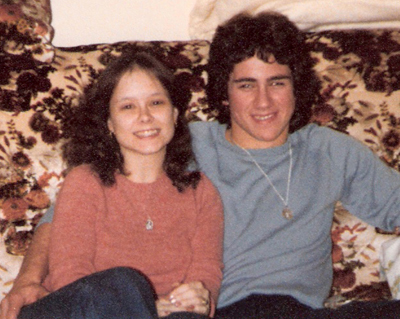 It’s hard to believe that this year, James and I will celebrate 35 years together (32 years married). To read our courtship story, click THIS LINK. Today is the Feast of St. Valentine. To read more about St. Valentine, click HERE. Many long-time readers will remember the story about the squirrel jumping out of my toilet. One of the most selfless gifts my husband ever gave me was cleaning up the mess left by the squirrel. To read the entire post, click HERE. 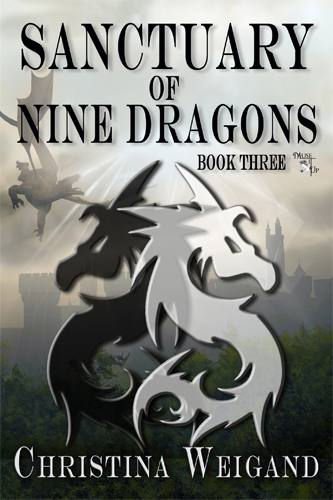 I’m pleased to host Christina Weigand, author of the newly-published e-book, Sanctuary of Nine Dragons, as part of her virtual book tour! 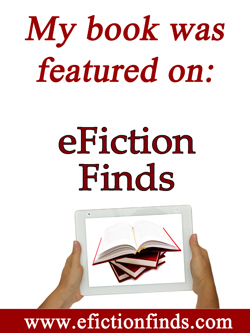 I’m inviting readers to check it out! Book Blurb/Synopsis – Joachim banishes Brandan to prison island of Hyogo. His infant son, Prince Airyn disappears from his cradle. A chain of events is set in motion that will pit brother against brother, friend against friend, parents against children as Brandan and Joachim struggle for control of their sanity and their very lives. “I have sent one who can save them, but he can also bring about their final destruction. “How will we know them?” Stefano leaned forward. “Although, he fathered the child, Brandan knows not of his existence. Author’s Bio: Christina Weigand is a writer, wife, and mother of three grown children and a middle school daughter. She is also Nana to three granddaughters. She lives with her husband and youngest daughter in Pennsylvania, returning there after a short sabbatical in Washington. Currently, she’s working on fantasy novels and inspirational writing. Through her writing, she strives to share the Word of God and help people young and old to realize the love and mercy He has for everyone. When she’s not writing, she’s active in her local church as a lector, Bible Study, or with the church theater group, volunteering at her daughter’s school helping the children develop a love for reading and writing. Jesus fills her home with love as she shares Him through her writing. Check out her blog for more information. Find her on Goodreads at this link: and on Amazon at this link.